Ableforth’s branches out and builds upon its award-winning brand with a range of incredible Bathtub Gin Bath Products. Supplying the world with accomplished spirits is what we do at Ableforth’s. We’re committed to bringing happiness to people with moments of discernment, as our incredible selection of terrific tipples has demonstrated, from Bathtub Gin to Rumbullion! spiced rum, Summer Fruit Cup and beyond. After years of delectable success and satisfaction in equal measure in spirits, we’ve decided to expand our portfolio and branch out into Bathtub Gin Bath Products. Having a moment alone to stop and relax is vital in this hectic world. We all know the pleasure to be gained when you take the time to melt away the stresses of the day. We’ve taken pride in providing this indulgent moment in the form of a perfect G&T. Now, Ableforth’s has curated a revitalising range of bath and body products, from the essentials to the luxurious. 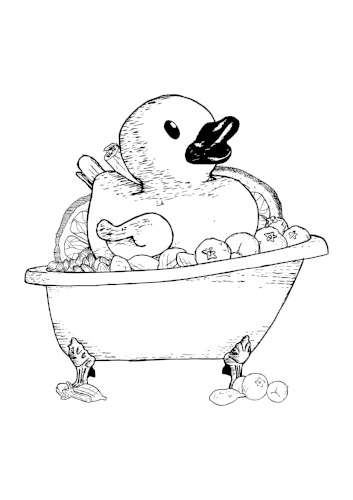 Introducing Ableforth’s: Bathtub Gin Bath Products! Coinciding with the launch of our new Cornucopian Bathtub motif, the range is inspired by the botanicals and methods used to craft the award-winning Bathtub Gin. Juniper, coriander, cassia, orange peel, cloves and cardamom are the inspiration for every product, meticulously re-worked for the utmost in relaxation. You may recognise the picture above, but look again. What you’re actually seeing is our new Bathtub Gin Bubble Bath – a rich, deeply soothing product, perfect to help you unwind after a long day. Based on the classic gin, this indulgent treat utilises the complex aromas of juniper, cassia and cardamom to create a new, inviting style of bubble bath. Bathtub Gin Bubble Bath is also complemented with a Sloe Gin version to invigorate your senses and leave you feeling almond fresh. Ableforth’s understands that modern gin sippers like to bathe with style. What better way to make the most of your dip than with a Bathtub Gin Buzzing Bath Bomb? The Orange Pomander Bath Bomb, inspired by the orange peel and clove botanicals central to Bathtub Gin’s incredible taste, is a product with dual purpose. 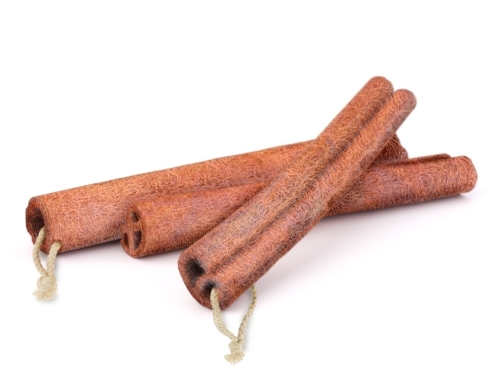 Its deep amber tones help curate a calming atmosphere, while the fizzing cloves add more spice to your life. If that’s not up your street, try the Aromatic Coriander Infused Bath Salts. The rich spice of the coriander is proven to be inspiringly uplifting, adding an invigorating kick to every bath, while the traditional salts help melt away any aches and pains. Ableforth’s has also created a wonderful Bathtub Gin Soap for the traditionalists, lovingly embedded with fragrant cardamom seeds, as well as the Navy Strength Damp Gunpowder Exfoliating Scrub, which is sure to leave you with sparkling, radiant skin (please don’t smoke and shower while using this product, the Navy Strength Gin in the scrub remains an ignition hazard). You can also give yourself the thorough foot care you deserve with the specially engineered Clove Foot File, or get to every alcove of your body (or nooks and crannies, if you will) with the Cassia Stick Loofah (complete with signature Bathtub Gin twine!). Wrapped, strung and wax-sealed by hand, Bathtub Gin Bath Products are ready to deliver unparalleled fresh skin and luxurious, relaxing bath times that will leave you feeling replenished and recharged! With Bathtub Gin Bath Products, Ableforth’s fans will be able to seamlessly blend their love for incredible gin with their bath time rituals. 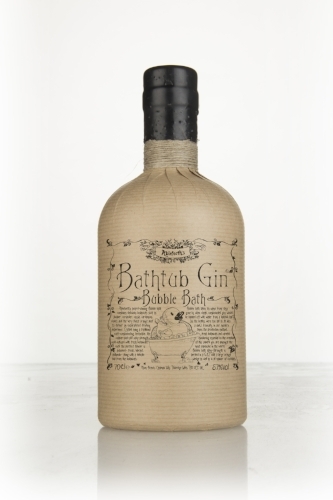 Ableforth’s: Bathtub Gin Bath Products are made with heart, soul and, most of the time, a shower cap. We’ve conquered the bar – now we’re going to conquer your bathroom. You can purchase all of the above from our website as usual. To celebrate the launch, Bathtub Gin fans can tweet @Ableforth’s using the hashtag #BATHISBEST to receive a personal discount code that will give you 20% off your first purchase (expires midday). Disclaimer: Please Don’t Drink And Bathe. #BatheResponsibly. We understand that our Bath Products look just as good as their alcoholic counterparts, so our expert team went to great lengths to ensure the whole range is, entirely safe for consumption - just in case you did get them mixed up. But they still carry a warning - they are simply never going to taste as good as our the original Bathtub Gin spirits bottlings!